While many smartphone fans look to what Samsung or Apple may be bringing out next, Sony are going to offer consumers some great handsets in the coming months that started last year with the Xperia T. Now the release of the Sony Xperia Z is getting closer as the handsets availability on Vodafone in the UK nears with pre-orders going live. We recently heard the handset may be available to Android fans in a few days time on February 21st, and consumers in India could get their hands on the great looking handset next month. 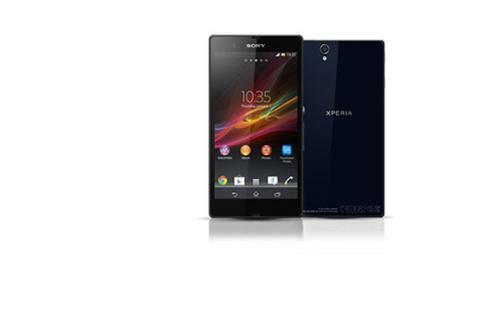 Now UK carrier Vodafone has put up its pre-order page for the Sony Xperia Z along with the pricing. The handset is available with no upfront cost on plans starting at Â£42 per month that provides customers with unlimited talk time, SMS messages, and 2GB of data. The cheapest plan the carrier has on the handset is Â£29 per month, but the handset requires a Â£149 outlay and for your money you then get 300 minutes of talk time, unlimited texts, and 250MB of data. All these plans are on condition of a new two year contract being agreed to, and the carrier does offer the handset on twelve month contracts but this obviously means more expensive monthly plans and upfront cost for the handset. These start at Â£39 each month but the handset will set customers back Â£179, and for this you get 300 minutes of talk time, unlimited SMS messages, and only 250MB of data. For all of Vodafone’s price plans and to order yourself click here. If you are still undecided you can head off to your local Phones 4U retailer where there are some demo units to have a play with. If you are getting the Sony Xperia Z where do you plan to get it from?